Hello This Silly Girls Life readers!! This is Shonee again from Hawthorne and Main! Hope you all had a fun Valentines Day! 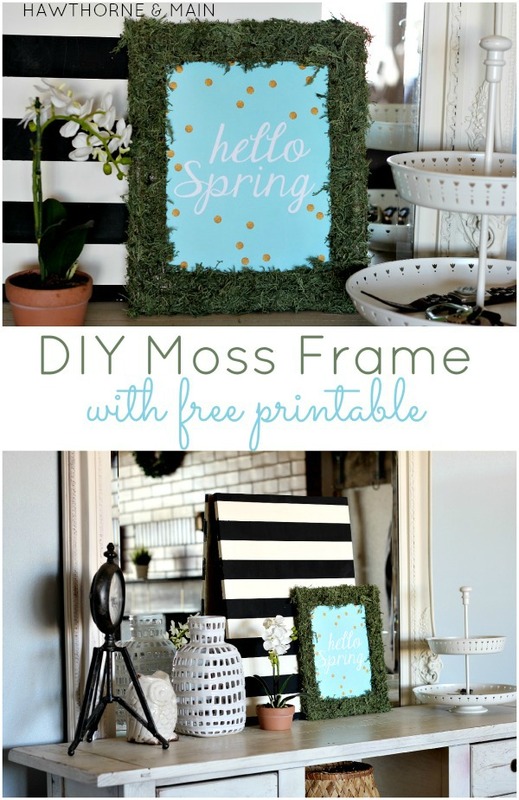 With spring right around the corner I thought it would be fun to share with you this DIY Moss Cover Frame! There is something about green that makes me smile. It reminds me of new life and a fresh start. The weather hasn’t quite warmed up enough for me to get my flowers planted outside. This green moss has given my living space a little extra boost of happiness to get me through the rest of the winter. 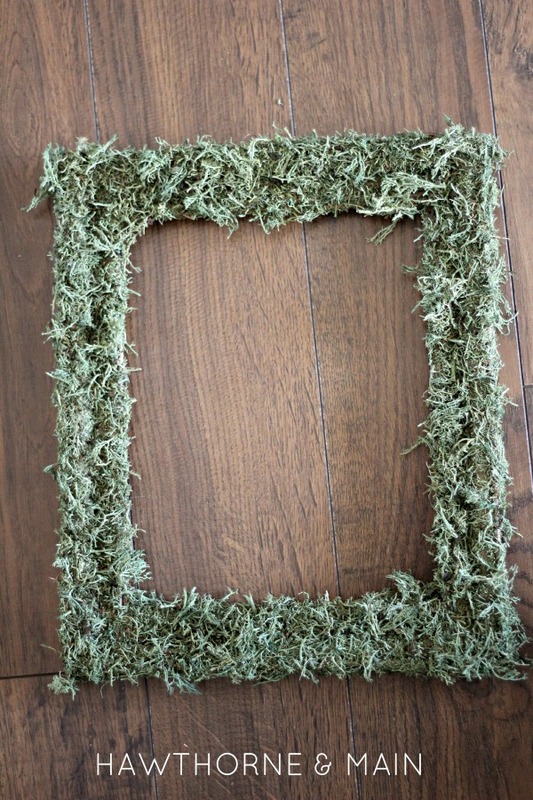 First, remove any paper backing and glass from your picture frame. I found it best to work in small areas. Only adding glue to one side of the frame at a time will prevent a sticky moss mess!! Start by smearing glue all over one side of the frame, including the side. 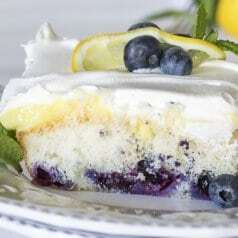 You want to add a fairly thick layer. I would recommend having some newspaper under your work area to catch any drips and to help contain the messy moss. Once the glue is smeared on, sprinkle the moss over the glue. After the moss in on pretty thick and the glue is covered, you can start my gently pressing the moss into the glue. This is to ensure the moss is adhering to the glue well. Repeat on the other three sides. -the moss can be a little bit clumpy. If it is, shred a little bit of it by tearing it with your fingers. This will make it easier to sprinkle over the frame too. 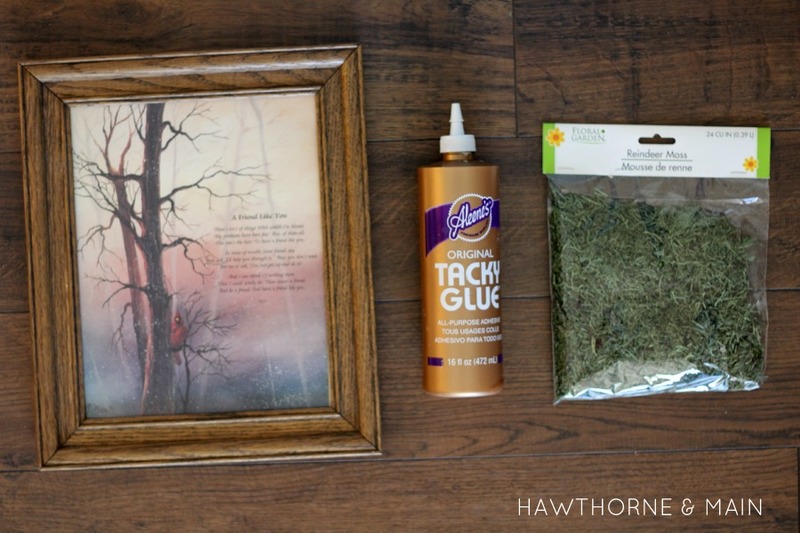 – once the entire frame is covered in moss let it dry for a few hours. After it is dry take it outside and shake it. This will get off all of the loose moss. 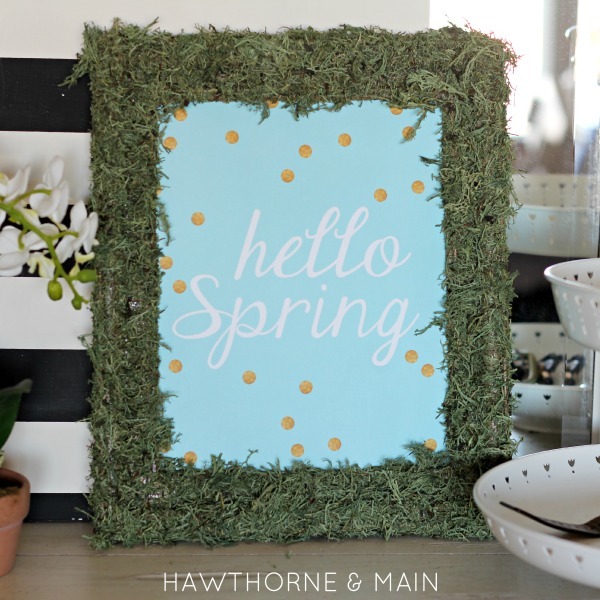 Now you can add this cute Hello Spring printable to your frame! When you are ready, go here to print it out! What a great way to bring the greenery of the outdoors inside!! I wasn’t joking when I said I love green. Just looking at these pictures makes me smile! 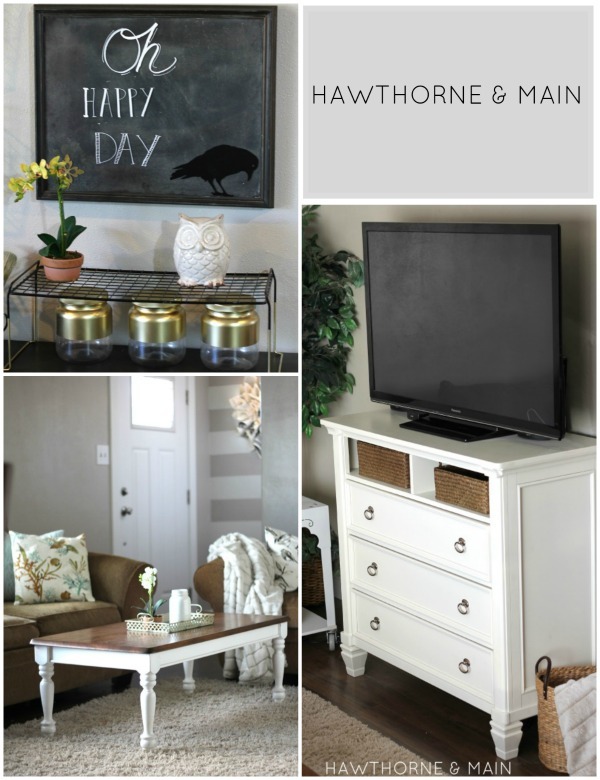 Check out what else is going on at Hawthorne and Main! This is so super cute!! The perfect project to welcome in spring 🙂 Can’t wait for the nice weather and sunshine! This is so cute!!! 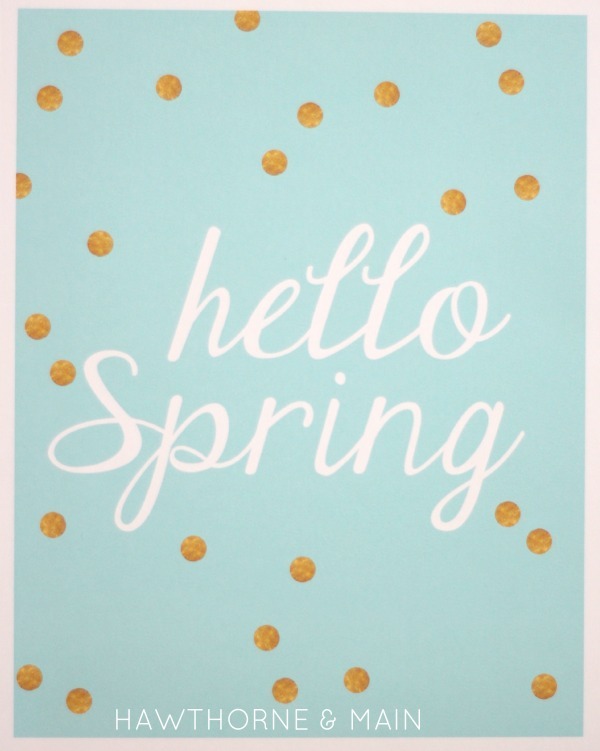 And how clever of you to include a free printable (: Like it a lot. This project is so cute! 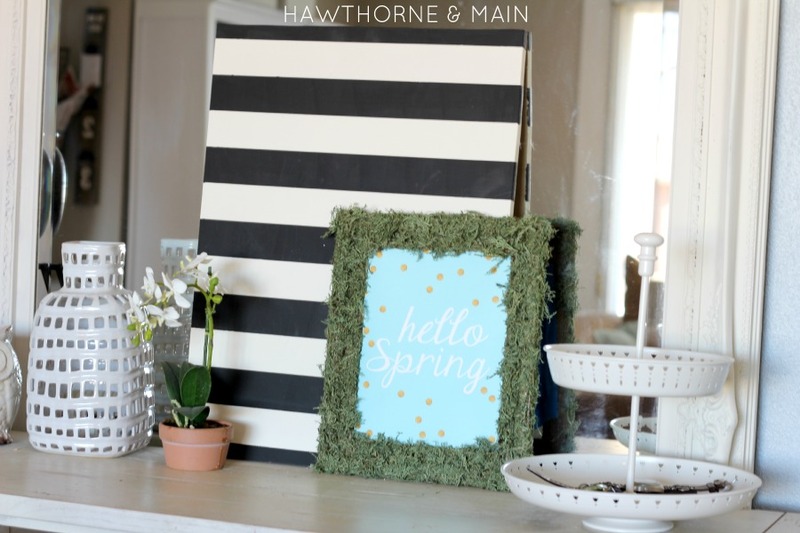 I can’t wait to make one myself, I could use a little spring in my house. 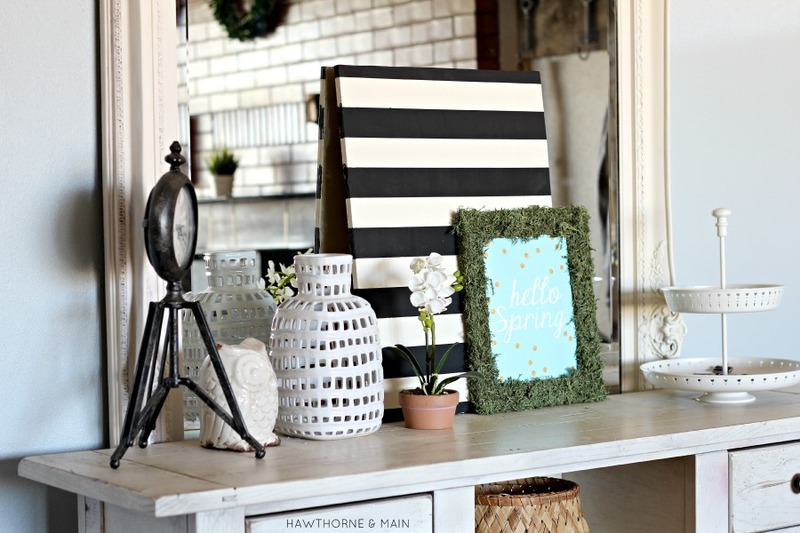 Saw this great post over at Create It Thursdays: Lamberts Lately, thanks for the inspiration! 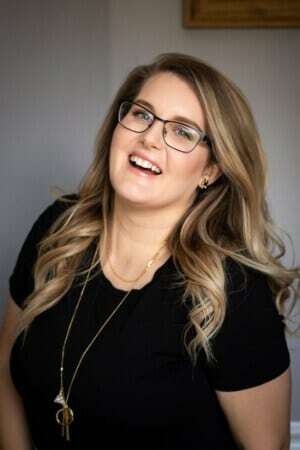 I’m visiting from #sitsblogging and your photo made me smile when I saw it. 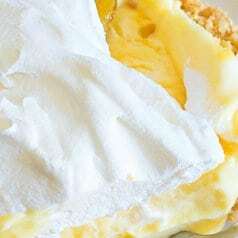 I absolutely can’t wait until Spring and may even have the things in the house to make this today!! Love this. Thanks! 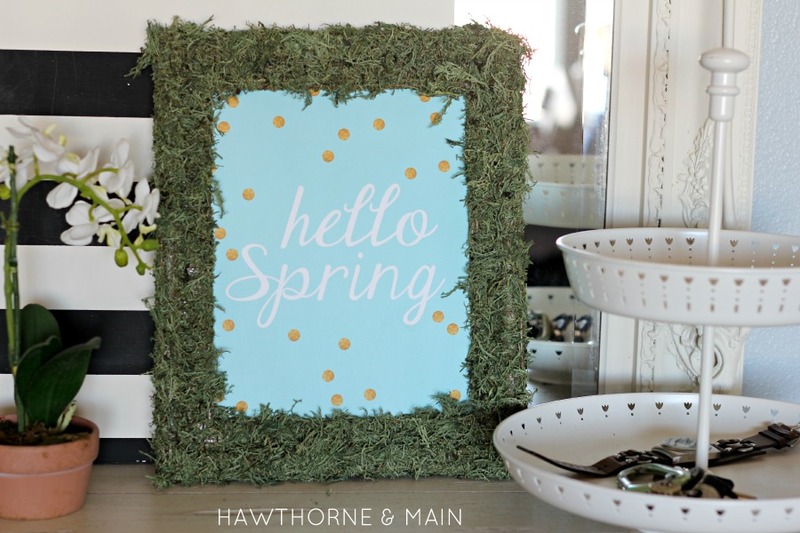 That frame is perfect for spring. 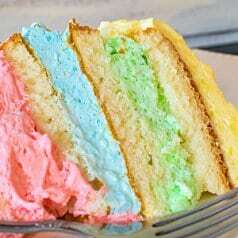 I’m thinking Easter! Thanks for sharing at Thursday Favorite Things, hope to see you again!